Just checked 21/01/17 and QuidCo are now rewarding £20 for referring new subscribers, use my referral link and share half of that £10! The other links on this article are/were for £5 referral each which may have expired in place of this one - see button link at bottom of article. Did you know though that many online retailers work in conjunction with a company called QuidCo where you can earn cash back on many of your purchases, all you have to do is simply register with them (free, you will also need a UK address, perhaps a family one), login to their site, search for your favourite retailer and then connect to them using the link provided by QuidCo. 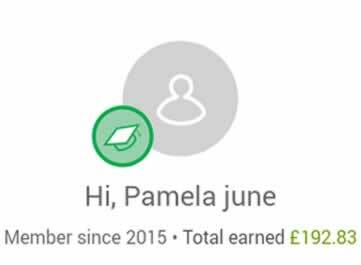 We were skeptical at first, but take a look at these screenshots which show you the money I have earnt (ok, not much for me), and the others show my mothers account where she has earnt cashback of almost £200 when she paid for her P&O (4% cashback) cruise via. 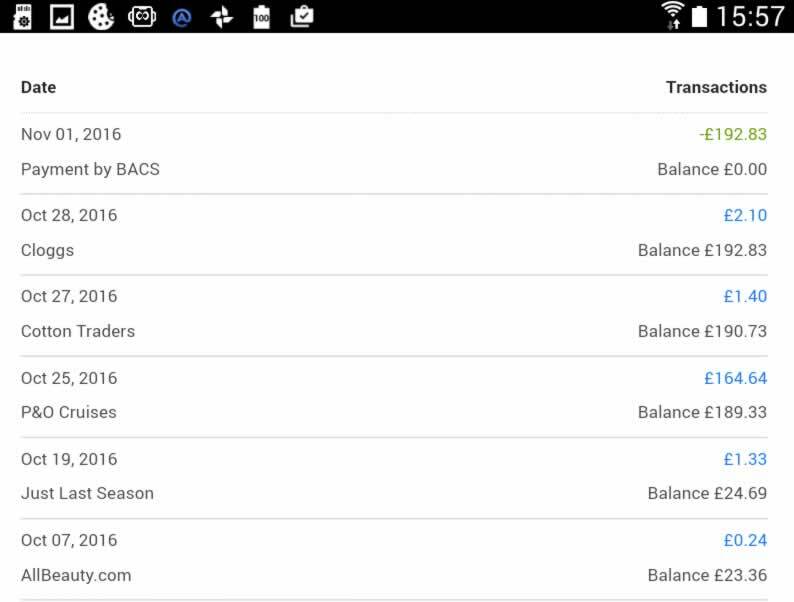 The QuidCo link – she still paid the same price for her holiday, but effectively got some free spending money which she wouldn’t have got otherwise – you can see that she has already been paid this to her bank account (you can have your cash paid into your bank account or a Paypal account). See adjacent a selection of retailers you may have heard of which you might choose to do some online gift shopping with and their current cashback rates. Go to http://www.quidco.com/cashback-reminder/ to get the free plugin. Click on your browser icon shown on that page, and follow the prompts – easy! Now when you visit a site to do some online shopping the plugin will remind you that cashback is available, so before you do anything, click the link in the reminder, login to your Quidco account and search for the retailer and be mindful to visit the retailer via. The link on Quidco so that your purchases are then tracked. 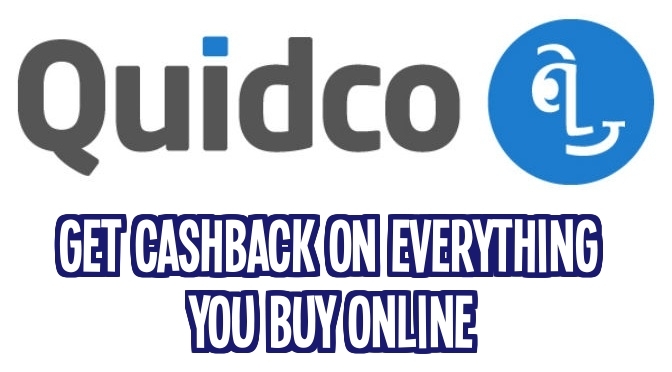 When you signup for Quidco, you can get better cashback deals if you join as a Premium account holder – all this means is that you forego your first £5 of cashback to QuidCo – this is what I went for. 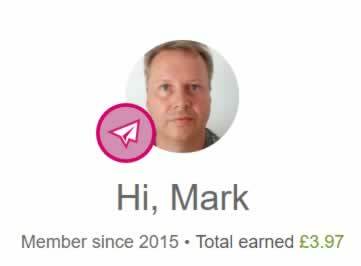 As an added (and not too altruistic) bonus, if you signup using my link I’ll share half of my referral bonus with you. Once you’ve earnt more than £5 we will both get a further £5 into our accounts (this is a special offer at the moment, usually it’s only £1.25 each, so act now!). Happy shopping, Christmas and New Year. If you're reading this article in The Big Glossy, and would like to take advantage of the referral link visit http://www.all-tech-plus.com and checkout the informational articles flipbook! If you have enjoyed this article, please take time to share it on your social networks, don't forget to like/+1 too. If you have used any of my services and feel you are able to I would appreciate a review on my Google+ page - click this Google Search for All Tech Plus and find the write review button on the right (thanks).